One of the more frequently used newspapers on our site is The Carolina Times, a weekly newspaper from Durham. We recently added more issues, covering the years 1973-1982. As mentioned in earlier posts, The Carolina Times was edited and published by Louis Austin. 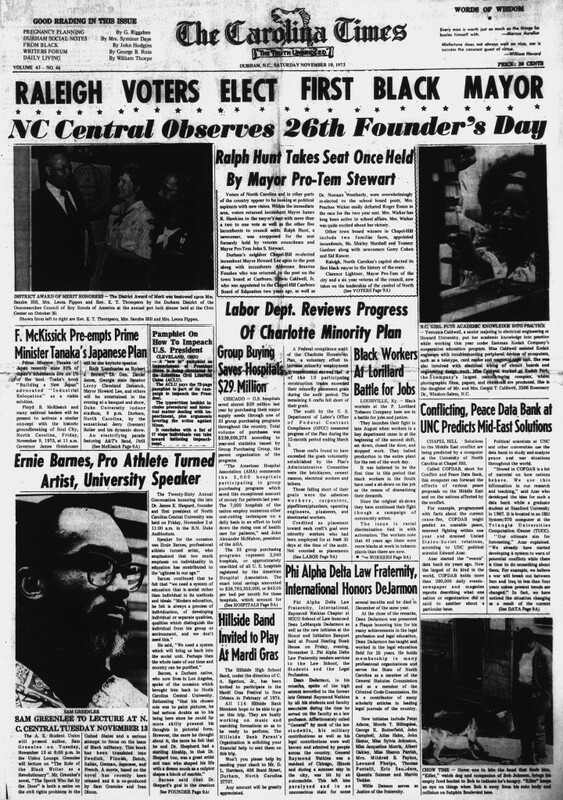 The paper covered and addressed issues most pressing to the African American community in Durham, with local news as well as national coverage. This title was suggested for digitization by the Durham County Library. You can view other items digitized for the Library on DigitalNC, and also check out their own rich online collections.